Grab a cup of Joe, and join our once- monthly Saturday morning seminars. Where can you network with editors to pitch your manuscript? What can you expect when submitting to a literary agent versus a publishing house? Are you able to list the do’s and dont’s of communication with industry professionals? Can you differentiate between YA, picture book, mid-grade, easy reader, and graphic novels and other genres so you can best format and submit your work? How do you get the best critique of your manuscript? Welcome to the Saturday Author-Smart Seminars-Yes! Do you have an idea for a children’s book? Maybe you have a draft for a picture book you’ve been mulling over or even a completed manuscript that you’re finally ready to dust off. Wondering what to do next? I am the author of an award-winning children’s picture book from a major publisher with a YA novel in the pipeline. 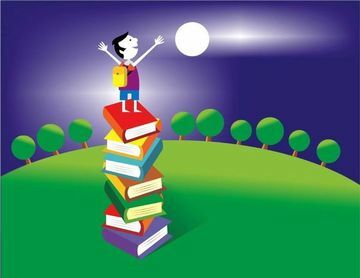 I also have over a hundred informative articles published covering all aspects of children’s book publishing from educational submissions to picture book formatting. One hour phone conference-webinars with subjects ranging from Agents versus Literary Lawyers, First-time Submissions and Handling Rejections. What exactly is the agent’s role with an author? How can an aspiring children’s author acquire an agent? Bigger agent house versus smaller or new agent? 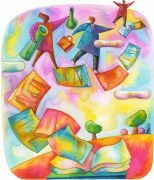 Are there any disadvantages of a having a literary agent? Are there profitable alternatives to acquiring an agent? What makes an award-winning picture book? Who is responsible for procuring illustrations if the writer is not a visual artist? How do you structure a picture book? What is the most important and significant key to a successful picture book? Welcome to the Saturday Author-Smart Seminars..Yes!